Finance seems to be a piece of cake for Chennai girl Bharathi K, who stood second in the December 2011 edition of Company Secretary Executive Level exam, in her first attempt. 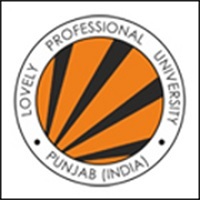 Bharati also attained the second rank in Cost and Works Accounting (Inter) and Rrank 8 in Chartered Accountant – Professional Competency Course (CA-PCC). And that’s not all! This B.Com graduate is pursuing Chartered Financial Analyst programme and a course in Actuarial Sciences, alongside work for a financial firm. “It’s important to have a dream and constantly work towards achieving it,” says Bharathi, who pursued graduation through distance learning from Madras University, after attending Padma Seshadri Bala Bhavan Senior Secondary School, Chennai. Her father being a practicing CA, was a boon, she shares. So are motivating teachers, some from Lower KG (kindergarten) who she is in touch with even today! This part-time poet shares her strategies for success. Q. Congrats on your success. How did you get the news? A. My father told me the result. I beg to differ from your opinion in calling it a success as the moment you consider it a success, there is bound to be a short span of stagnation. But yes, I do agree that this result motivates me further. Apart from this, I secured ranks in CA-PCC (Rank 8) and CWA Inter (Rank 2) too. Q. When did you decide to take up CS? How important is a student's past study background to be successful? A. I decided to take up CS, post completion of my CA course a year back. In my opinion, study background has no relevance as it boils down your interest and passion. For someone who is starting fresh, passion and hard work are more important than the stream of study. I have personally seen many examples where students from science stream emerged successful in CA or CS examinations in their first attempt! It is important that you have a dream for yourself and constantly work towards achieving the same. Q. How did you prepare for the CS exam? Did you take any guidance? A. Since I am working alongside studies, I had allocated time during weekends for preparing. Plus being a Chartered Accountant helped me a lot as I had done solid and systematic preparation then. Due to this my basics are very strong so I could capitalise on that. I used to spend at least 10 hours every week for six months in completing the portion for CS. I did not go for any classes for CS. I read the study material provided by the ICSI. Q. How good are coaching institutes and what should one be cautious of, if you choose one? A. Whichever coaching institute one chooses, self-preparation and confidence levels before the exams are significant. I had taken classes for CA and they were helpful. I made it a point to interact with my teachers after classes were over to clarify doubts, which arose during self-preparation. I believe if you study on your own, you’ll have more doubts and so better clarification. The level of understanding and conceptual knowledge would be better this way. Q. How important is training? How about specific computer training? A. Practical training is indeed very important. I had done articleship for CA in my father’s firm. The fact that I had my father in the same profession really helped me and improved my learning. Computer knowledge has now become a prerequisite in almost every job. Becoming a brilliant professional sans hands on computer knowledge would obviously not sell. Good knowledge of MS office, accounting software apart from other basic computer knowledge is needed. A. Presently I am working in an organization and simultaneously pursuing other courses that are CWA, CFA (USA) and Actuarial Sciences. I wish to shine in my profession but my long-term goal is to become a professor in finance and in the process play a small role in giving our country good moral citizens. At the end of the day, you have to do something that makes you feel mentally satisfied too, beyond monetary satisfaction. A. Love what you do. Just like the way you eat a food item only if you like it, in the same way you can do justice to your studies only if you develop a passion towards it.